The last photo is purely for lols. It was pouring with rain in Hyde Park when snapping my outfit a couple of days ago - hence the messy damp hair. But I did manage to find a little bit of shelter under trees by the autumn leaves (no rhyme intended). 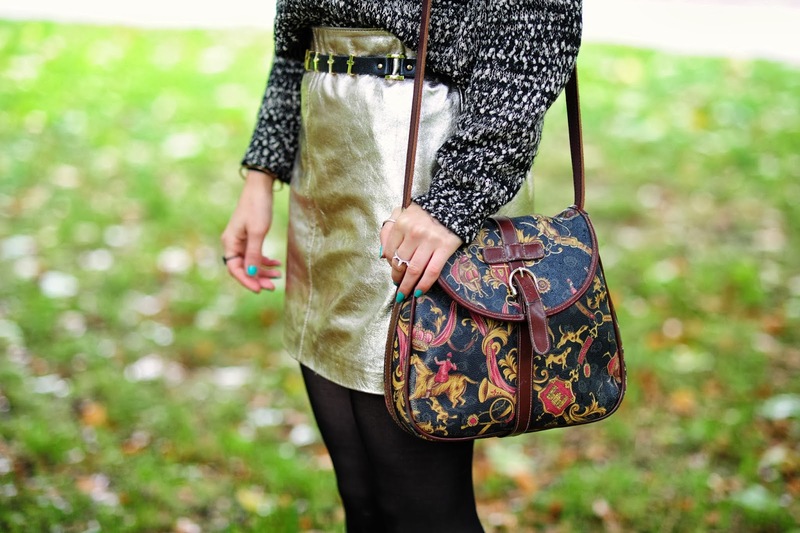 Working at Oasis means discovering little gems like this metallic leather skirt I found in the sale a few weeks ago. 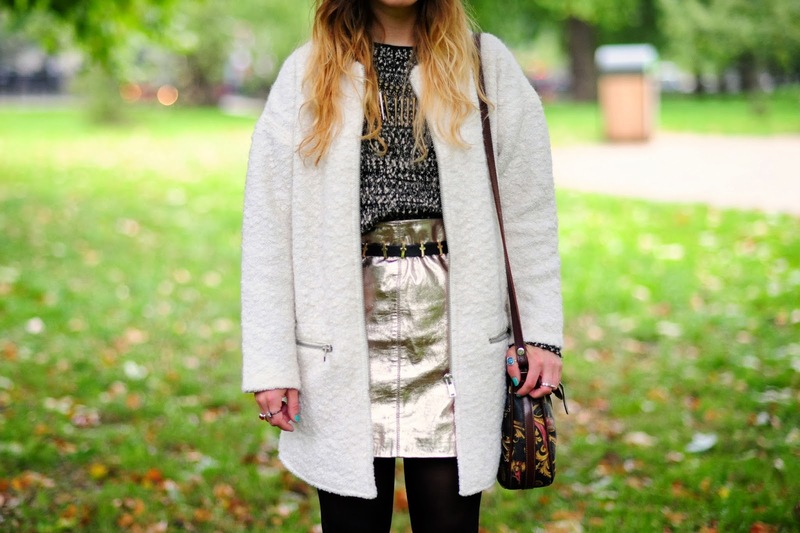 The skirt is something I wore to LFW as I really love the a-line shape and the unusual shiny shade. I've been searching for a grey cropped jumper for a good while now to wear over skirt/dresses in the winter and this salt and pepper one fits the bill perfectly! Such a bargain at £12 and super cosy! 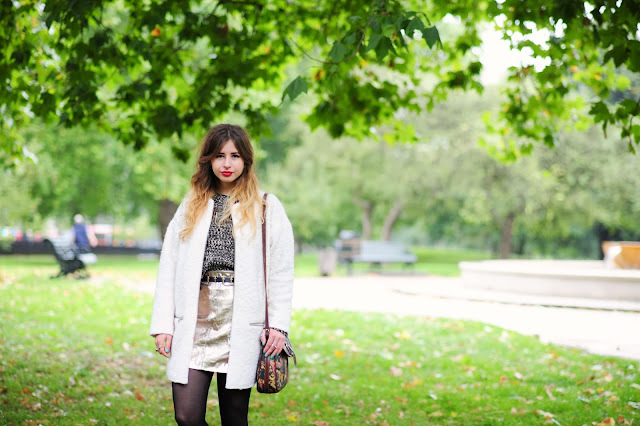 Follow me on Bloglovin' and keep up on Facebook, Twitter and Instagram. Love this whole outfit, the skirt is gorgeous! wow, I love this whole outfit, everything just goes together so well!